Hold on to your hats, the Ford Transit Custom Sport is here for its long term review. 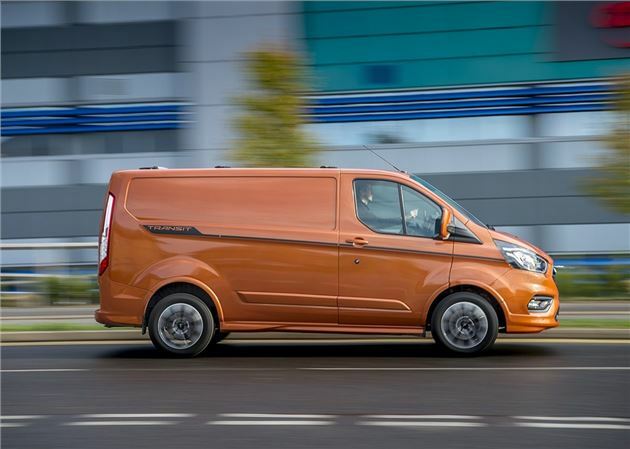 Decked out in bright metallic orange and overflowing with tech, Ford's flagship van is the head-on rival to Volkswagen's lairy Transporter Sportline. At the business end of things, the Transit Custom Sport has the same load area as the standard 310 van (in L1H1 configuration) with a 2.5 metre load length (up to the bulkhead) and a loadspace that measures 1.7 metres behind the wheelarches. The sportvan also comes with a useful load hatch in the bulkhead, which makes use of the space under the passenger seat and extends the overall load length to three metres. Capable of carrying three Euro pallets weighing a total of 1042kg, the Ford has plenty of substance to back-up its flashy exterior, with the GVW coming in at a respectable 3.1 tonnes. We've also added LED loadspace lighting (£80) and a tailgate (£250) so we can load/upload at night and use the full width of van without having to hitch the doors to 180 degrees. Don’t like the colour? The Transit Custom Sport is also offered in grey, black, blue and two different shades of silver. Since taking delivery of our van we've covered over 200 miles and first impressions are extremely positive, with the Transit Custom handling more like a large car on the road than a rough 'n' ready commercial vehicle. The ride quality is smooth and comfortable, while both engine and road noise is car-like and hushed. The van's light on its feet too, with its 12 metre turning circle making it easy to navigate those tight and small builder's merchants' car parks. The steering is also responsive, with a nice level of weighting that makes it easy to get a feel for the front-end grip levels. Being the most expensive van in the Transit Custom line-up, this sportvan is aimed at businesses that want to stand out from the crowd. We've already received the thumbs up from numerous builders on our travels and this van cleanly makes a statement of intent wherever it goes. However, if the bright orange paint scheme is too much, you can tone things down with a darker shade of grew, silver, black or blue. All are included in the list price. Fuel economy is already close to Ford's claimed 44.1mpg, but this has been achieved without any payload or passengers. Over the coming months we'll be putting the Ford to task, with long runs up and down the UK to see how it performs as a working van.